Our Marianist pilgrims had a wonderful day in Paris as they travelled to Agen for the Beatification of Adele.. The day was sunny with clear blue skies but not hot and the city looked beautiful. They went to the shrine of the Miraculous Medal for Mass and some quiet time. Following they went to the Sainte Chappele. 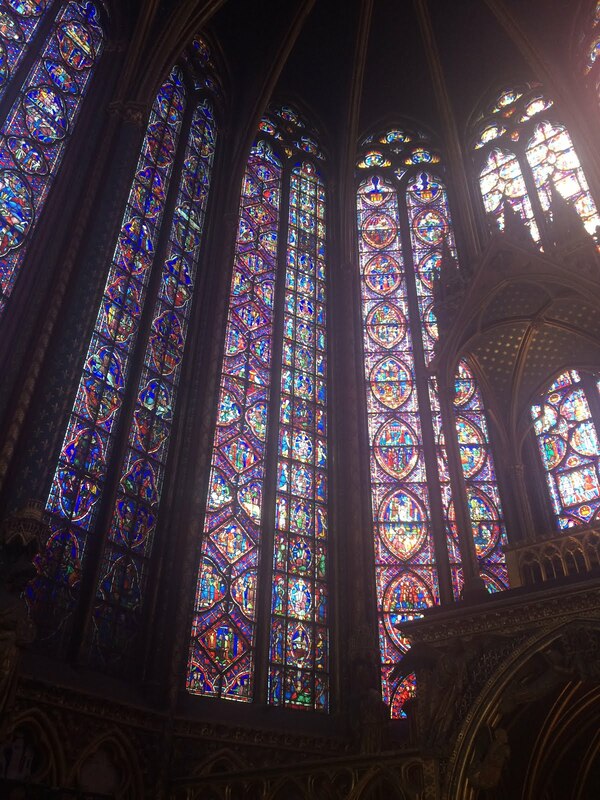 The stained glass windows glowed in the morning sun and we spent an hour tracing all the stories told in glass. After a stroll around Norte Dame to admire the spires and buttresses, we stopped for lunch along the Seine. This morning we bid farewell to Paris and travel to Agen.